Bogari Capital is an independent asset manager. Our aim is to provide our clients with long-term investment opportunities based on identifying distortions between an asset’s price and its intrinsic value – we are value investors. Register to receive our investor letters regularly. 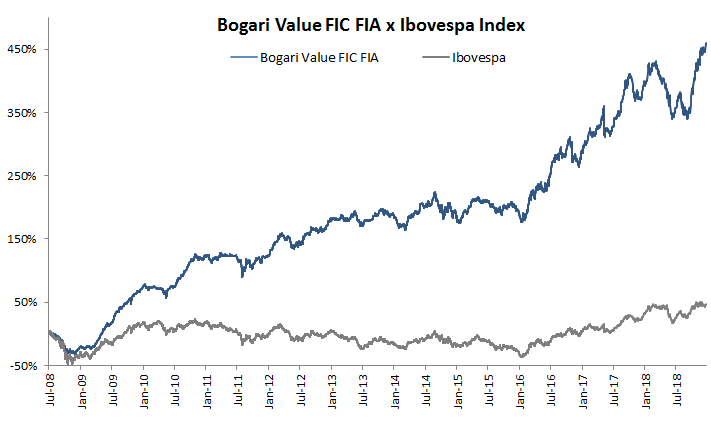 In the last 12 months, Bogari Value FIC FIA had a return of 13.6%, while Ibovespa Index return was +15.0%. In December, our return was 1.6%. For further information, please, download the Bogari Value FIC FIA Factsheet. All figures are in Brazilian Real. Bogari Value FIC FIA is an equity fund domiciled in Brazil.